(Inside Science) -- With many a daily flush of a toilet, a dilute cocktail of chemical compounds we excrete, from hormones to antidepressants to caffeine to nicotine, are sluiced into the sewers of American life, eventually making their way into municipal wastewater treatment plants. 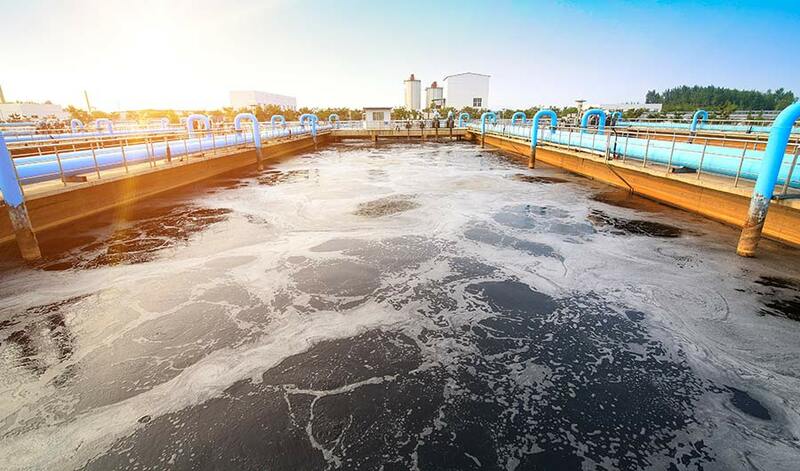 Most facilities typically process and remove the majority of sediment and organic solids in the waste stream, before releasing the treated water out into the ocean or waterways. However, they don't remove everything. In the last 15 years, there have been numerous reports in the United States about pharmaceutical chemicals found in waterways and drinking water supplies. Wastewater treatment plants are a well-known source for the discharge of these chemicals into the environment. Scientists from the U.S. Geological Survey recently visited 13 wastewater treatment plants in nine states and Puerto Rico, to learn if the drug manufacturers themselves are a major source for contamination in waterways. Although there were sparse, early indications more than 30 years ago of manufacturers as a source of pharmaceuticals in waterways, it wasn’t until the 1990s when findings of estrogen in liquid sewage that led to the feminization of fish sparked interest in understanding how pharmaceuticals reach the environment. “We were seeing papers actually coming out of India, where they were seeing astronomically high concentrations [of pharmaceuticals],” said Dana Kolpin, a research hydrologist with the U.S. Geological Survey who has worked in water quality research for the past 30 years. Kolpin said that there was initial skepticism that the same problem existed here in the United States, but their findings suggest otherwise. While levels were not quite as elevated as in India, the USGS study found "pretty hefty concentrations" of pharmaceutical chemicals coming from manufacturers, he said. In a 2010 study in New York state, USGS scientists found that two municipal wastewater treatment plants receiving waste from pharmaceutical manufacturing facilities had concentrations of opioids in treated water up to 1,000 times higher than in the discharge from wastewater plants processing the waste stream coming from domestic households. “We’ve gotten to the point where it’s not breaking news to find pharmaceuticals in this river or that stream or lake,” said Tia-Marie Scott, a physical scientist with the U.S. Geological Survey. They can even be found in pristine environments, she added. Scientists recently embarked on a new, wider study to identify the sources of such pollution nationwide. The USGS scientists tested the treated discharge coming from each of 20 wastewater treatment plants in nine states across the U.S. and Puerto Rico over a 24-hour period once a year from 2012 to 2014, for 200 pharmaceuticals, nonpharmaceuticals and other chemicals of concern. Thirteen of the plants received wastewater from pharmaceutical manufacturers and domestic households, while six received water from domestic households only. The remaining plant initially qualified for the former category, but a nearby factory closed during the study. The team selected their study sites based on nearby manufacturing of seven commonly used pharmaceuticals, including an antidepressant, an opioid, an antibiotic, an anticonvulsant, a synthetic estrogen, a breast cancer drug and an immunosuppressant. Of those seven common pharmaceutical chemicals, only bupropion, the active ingredient in an antidepressant drug known as Wellbutrin, was found at high concentrations in the treated discharge coming from plants receiving waste from pharmaceutical manufacturers. The concentrations of bupropion were as much as 452 times higher in the treated discharge from one of these wastewater plants as compared to even the highest concentration found in discharge from plants receiving only domestic wastewater. This discharged water carried nearly 90 micrograms of bupropion per liter, which is roughly 35 times the anticipated therapeutic dose for fish such as rainbow trout. That much bupropion, even if subsequently diluted in the waterways, could impact the mating behavior and survival of fish populations. The work was published online in Science of the Total Environment in April. In studying less commonly used pharmaceuticals, the scientists found elevated levels of as many as 33 pharmaceuticals in the treated water of plants receiving waste from drug manufacturers out of the 200 compounds they tested. The researchers also found much higher concentrations of some pharmaceuticals in the discharge from plants receiving wastewater from drug manufacturers than from plants with no wastewater coming from these sources. One such pharmaceutical, an antifungal medication called Fluconazole, was present in the discharge of all 20 wastewater treatment plants. But the concentration was up to 3,000 times higher in the treated discharge from one wastewater treatment plant receiving waste from a nearby drug manufacturer. The researchers suggest that when drug manufacturers produce large amounts of one particular drug, it can produce these dramatic concentrations in the eventual wastewater discharge. The notion that any one treatment could remove all pharmaceuticals from wastewater discharge is “pie in the sky,” said Dana Kolpin. In addition to costing millions of dollars, he said scientists and managers should figure out which compounds are the most threatening and prioritize accordingly.